The Vermilion Parish School Board has decided to place Superintendent Jerome Puyau on administrative leave effective immediately. This comes after board brought a list of concerns about his leadership. – Indian Bayou Elementary: Principal and secretary situation. Assistant principal transfers. Board president Stacy Landry admitted that he doesn’t buy most of the concerns. However, he still voted for placing the superintendent on leave because Puyau hired legal counsel to represent the board without consulting them. “It can’t get to the point where the board president has no say so in the system whatsoever. I’m supposed to be the voice of these other 7 members and right now that is taken.” said Landry. A few teachers came out in support of Puyau arguing that isn’t the type of person the board say he is while others felt the board’s concerns were justified. “Standing in the hall listening to what was read, I have a very different experience of my time in this parish.” said one teacher. “I mean we have kids at my school that are struggling. They need these things but its like what more can I do whenever I go to my coordinator, she goes to who she is supposed to go to and nothing comes out of it.” said another. In response to being placed on leave, the superintendent called it embarrassing. “I was threatened by school board members. That will come out through the investigation also. Like they say, I will follow our laws and our policies, but these people do also. It’s a shame that I have to do this in public so yall can hear the truth about what happened.” said Puyau. 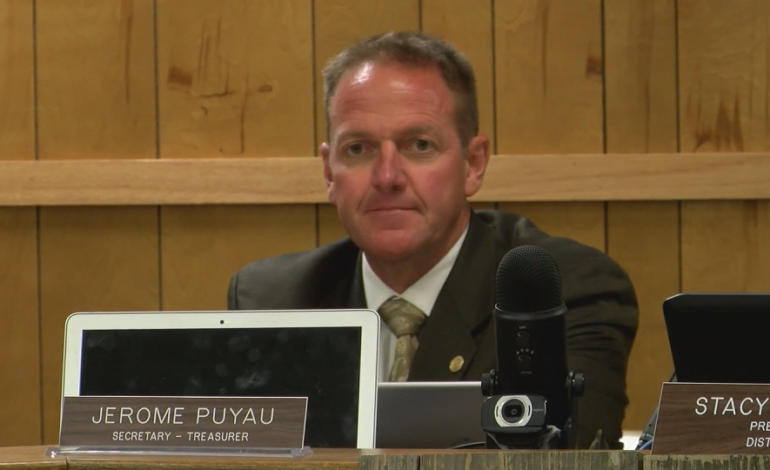 Although Puyau is placed on leave with pay, he cant go on any school grounds in Vermilion Parish until the investigation is complete but no one has been named to carry out that investigation. Assistant Superintendent Paul Hebert, will serve as the interim until the board reconvenes next week.